Traveler Reviews for Private Tour in Nagasaki, Japan by Tour Guide Miyuki O. About Miyuki O. Message Miyuki O.
Miyuki was a very good guide for our visit to Nagasaki. She is very well organized, polite and very friendly. She showed us all interesting spots in Nagasaki and gave great information. Her English is very good. We highly recommend her services. TOUR GUIDE RESPONSE: Dear Daniel, Thank you for your high rating and comment! I also enjoyed showing my hometown and my favourite coffe shop to you. Hope to see you again! Miyuki Ogawa is an excellent tour guide. 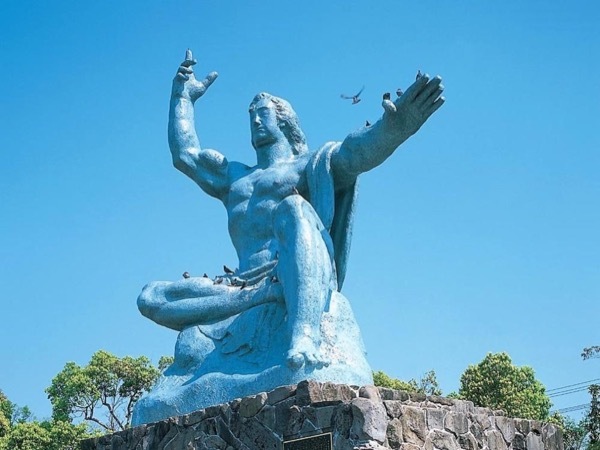 Miyuki showed Nagasaki to a class of college art students from the Rhode Island School of Design during their study abroad program in Japan. Miyuki's explanations were highly informative, clear and to the point. Organization of all visits was just excellent with a perfect balance of instruction and time to experience each place. We are very grateful to Miyuki for making our visit to Nagasaki so rich and memorable. TOUR GUIDE RESPONSE: Dear Elena, thank you for your commnet and high rating. I had a wonderful time with you and your students. Hope to see you agian! We booked 2 full day tours with Miyuki and we came away with a deep appreciation of the history and culture of Nagasaki. 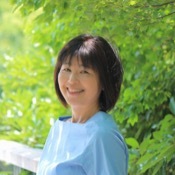 Miyuki was not only knowledgeable and well prepared but also very accommodating & flexible. She thought ahead of the routes we should take considering my somewhat limited mobility. We not only saw the various sites but she arranged for us to enjoy a Shippoku meal. She researched and found a calligraphy artist for our daughter who wanted to give a special gift. Miyuki is the best! TOUR GUIDE RESPONSE: Thank you for your high rating and comment, Marilyn! I also had wonderful two days with your loving family. I also appreciate that I could meet with the calligraphy artist thanks to your inquiry! TOUR GUIDE RESPONSE: Thank you for your high rating for my tour, Lorelei. I had a wonderful time with a nice family! Wishing you a happy and presperous New Year!! Not only did we see all of the places we wanted but Miyuki even showed us some local delights which were unexpected. A very interesting and enjoyable day which we would recommend to anyone. TOUR GUIDE RESPONSE: Thank you for your high rating and comment, Steve. I had also wondeful day with you and was very happy to be able to show you some different aspects of Nagasaki. Hopeto see you again! Thank you Mijuki for a delightful day. We feel we had an excellent introduction to Nagasaki - a city we found very interesting indeed and well worth the trip from Tokyo. Best regards from Sydney Australia. TOUR GUIDE RESPONSE: Thank you for your high rating and comment, Sandy! I myself enjoyed walking in Nagaskai city with you :-)Thank you for choosing Nagasaki as one of the destinations of your trip.I am sure you enjoyed the second day in Nagasaki by yourselves. TOUR GUIDE RESPONSE: Thank you for your high rating, Megumi-san! I had an wonderful time with your nice family. Best wishes for a long and happy marriage. Nagasaki, Japan is a MUST visit! And if you need a guide, please request for Miyuki-san, she is very knowledgeable about the history and cares for her groups. She also endured my numerous emails with change request and she accommodated all of them. It was hard not knowing the territory so she ensured our group received the best route based on our needs and constraints. She also arranged a special "shippoku" traditional meal for us - it was fantastic! Everyone love it, love the tour and loved her! TOUR GUIDE RESPONSE: Thank you for your high rating and wonderful comment, Mark-san. I enjoyed exchanging e-mails with you :-) Hope you would come back to Nagasaki with your wife next time!